Drink of the Week – The ‘Old Pal’ Cocktail at Nightingale Restaurant Offers a Memorable Father’s Day Refreshment. This full bodied drink is sure to lift the spirits of any classic-cocktail loving father. The Old Pal combines the snap of american rye with the sweet and spicy nature of dry vermouth and campari. This lively drink has father-friendly flavours embedded in it’s very creation. 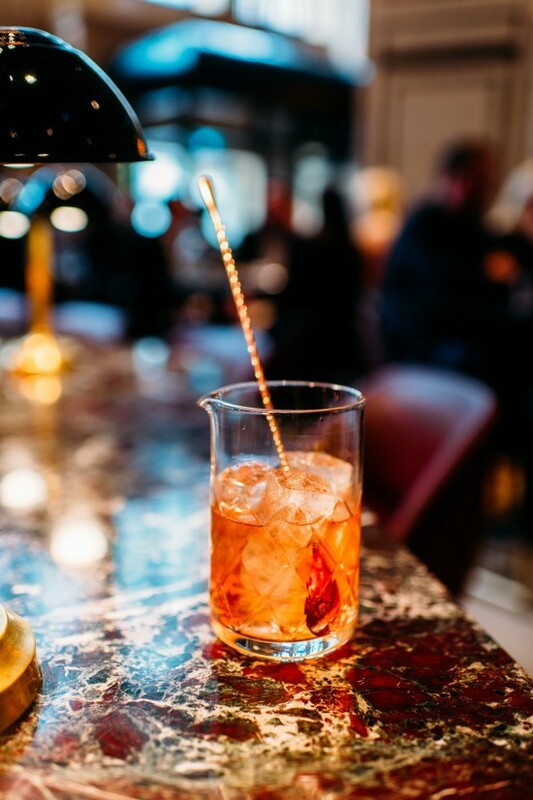 Stop by Nightingale Restaurant’s bar area with Pops this Sunday to bask in the space’s social atmosphere, reminisce over the knee-scrapes of days past and sip the Old Pal. Nightingale Restaurant is located at 1017 W Hastings St, Vancouver and is open 11am-11pm, seven days a week. If also looking for dinner reservations please call (604) 695-9500.